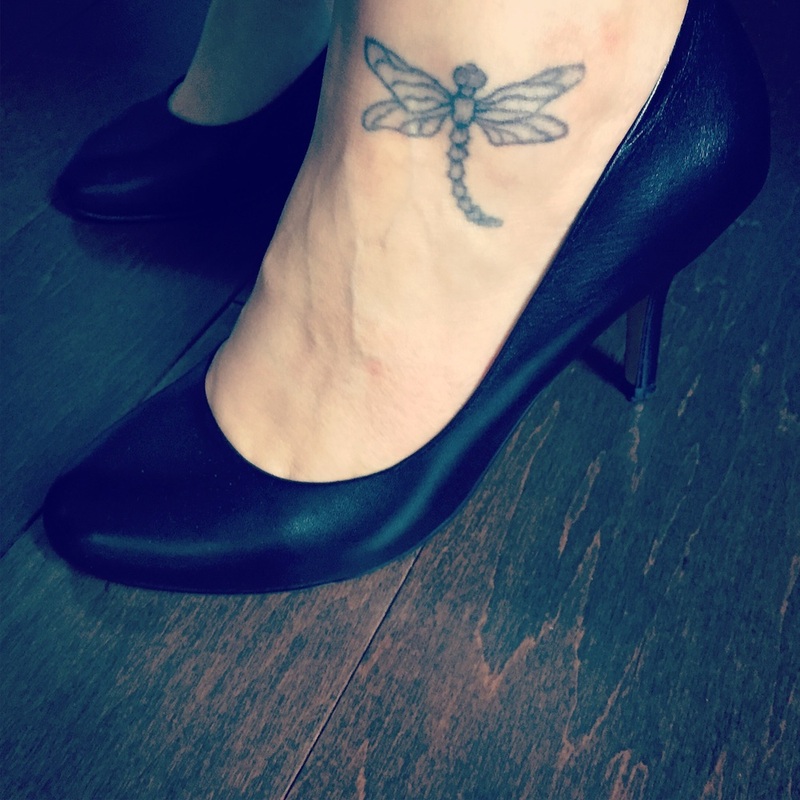 Someone caught a glimpse of my dragonfly tattoo on Instagram and asked for a close up and the backstory so here it is. My older sister and I got matching dragonfly tattoos 14ish years ago. We both life dragonflies for our own reasons (they're highly spiritual little buggers, those dragonflies) but we both loved that one of the meanings associated with them is "forever." We took my dad with us to the tattoo shop because my dad is hilarious and we were so totally grown up. Mine is on my left foot and Turtle's is on her right foot. Bow and Westy have so far declined to join our club of tattooed siblings. Wieners. Do you have any body ink? Do you love it or regret it?